A pair of heavy duty universal drilled and slotted angle brackets. ie. 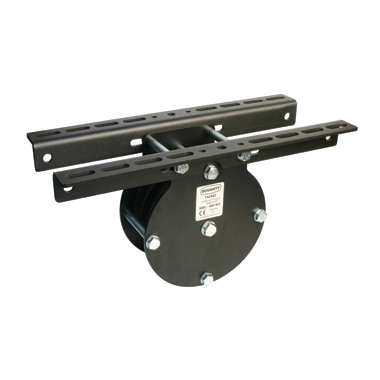 T42901 + T42990 = 100mm Single Pulley (for wire) fitted with Girder Brackets.